Or should it be re-tattooing? Seems it is throwing good money after bad to me personally. Horrible. Much prefer the old one, I'm sure most Glos supporters will too. Edited 1 time(s). Last edit at 17/05/2018 16:04 by tedge. I like it. Its not like their old one has a huge amount of history to it. And the Tattoo bit is good PR and is not likely to cost them a huge amount. I do not however want ours to change, it has been tweaked but is still quite original. It would not be the first time that the marketing people at Castle Grim have tried to jazz things up and failed miserably. Traditional supporters the Tractor boys, and they can smell bulls**t.
is it just my ageing eyes, or does it look very similar to the Tigers logo now? I love our crest and would never ever want it replaced but I wish we would do away with our 'modern alternative' stickman logo. It looks like someone pulled it straight out of clip art. I really like our stickman logo. I've even got one on my car! Hands off the stickman! I think he’s great - we are lucky in having a very old and renowned crest and a modern, easily recognised supplementary logo . Edited 1 time(s). Last edit at 17/05/2018 18:47 by Saintly Pursuit. When I were a lad the fair coming to town was fantastic. You had to pay to go into booths to see the tattooed lady and the fat lady. Either are now available free at a supermarket near you. I don't understand the 'back to the jungle' look. Fluid gender persons covered in orange woad and full war paint, blimey I would fight anyone once but these frighten me. Anything that makes my ticket cheaper is a good idea. Personally I like it and think its a marketing opportunity not made enough of. Have the silver little car stick man on my car over here in Finland, reminds me of home. As for the tractor boys' rebrand, I'm in the "looks like Tigers" camp. What is it? Who are Gloucester now - Gloucester Leopards / Cheetahs / Pumas / 'insert wild cat name here'? SP - I meant modern for us - and unfortunately I’m old enough to have watched The Saint the first time around. Quite often you get a tattooed fat lady too, is that a bargain or a saving? I agree, cannot see why folks (especially Ladies) have them. Many people have them done in haste,then regret decision for the rest of their lives. Gloucester were very emphatic that they were not calling themselves Lions - mentioned a couple of times at the launch of the new logo. Sorry to go O/T but I'm in Helsinki for work next week - are there any "must sees" while I'm there? Try the Reindeer, its very tasty. I have no idea what steam punk is but I do like the odd gin! Loyly waterside public sauna, bar and restaurant (pronounced 'lowlu'). Good for a bit of Finnish cuture. Suomenlinna 18th century sea fortress - built on the small archipelago a short ferry trip from Helsinki harbour. Good for a bit of Finish history. And I'd agree with Duck - reindeer is worth a try and will be on virtually every menu in the city's many good restaurants. Sadly, you will probably miss Helsinki RFC's upcoming 2 home games - on 19th May and 9 June but rugby.fi is where you'll find details if needed. Thanks very much for that - they all sound good. Don't what - have them done or regret having them done ? Clearly the lions as a club name is already spoken for. How about Civets or Ocelots? Thought not. Poor old Gloucester supporters, it’s absolutely dreadful!! I agree with a few comments here, just like Leicester Tigers!! Also, what’s the point of a new logo, who are they trying to attract!! Not every change is for the best! 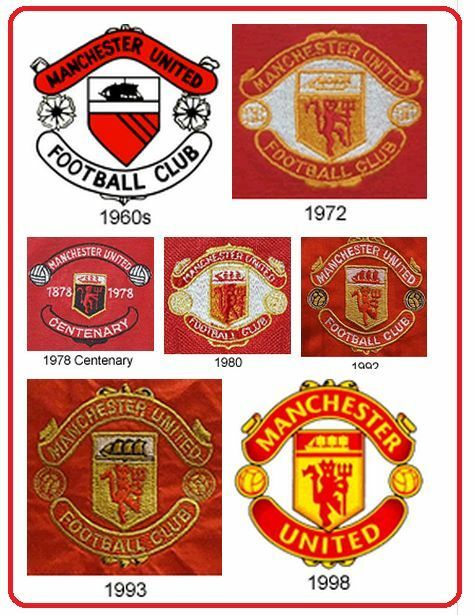 Manchester United have changed their emblem about 4 times, the current badge bears zero resemblance to their Busby era one. They’re the most supported sports franchise on the planet ? Agree but they are everywhere and women have taken to them. The only tattoos I saw as a kid were on uncles who served in WW2.